My very first map. Average detailed, balanced. Two separated islands to the right and the left. Each of the islands has two Ore Nodes and several civilian buildings. In the middle is a floating fortress with two Ore Nodes and four shockwave-artillery-turrets to capture. Both players begin the game with an allied barracks on the fortress, to fight and capture the buildings. 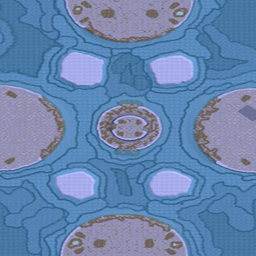 Between the fortress in the middle and the two main islands to the left and right, there are two very small islands rising in the remaining space, so there is one mini-island on each players side. On both small islands there is an Oil Derrick and an Observation Post available for capture. This map was made with 2 vs 2 in mind, but is also suitable for 1 vs 1. 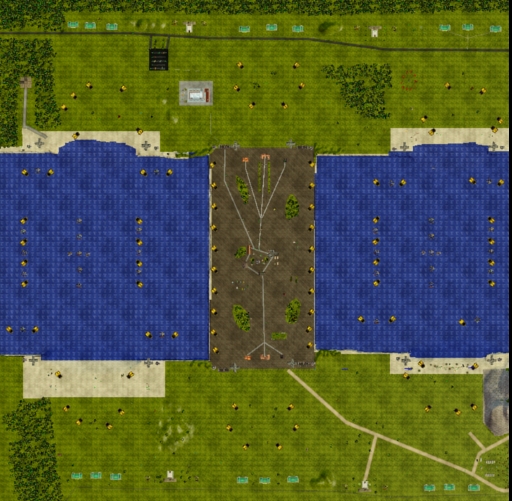 Each player will start on the same Island and their team mate, with 2 ore nodes each. There is an expansion ore node near the edges of the right and left islands, and two on each of the islands aswell. On the centre island there is a total of 4 oil derricks, and 2 observation posts, for the two sides to fight over.